It appears that every household uses napkins at the dining table. 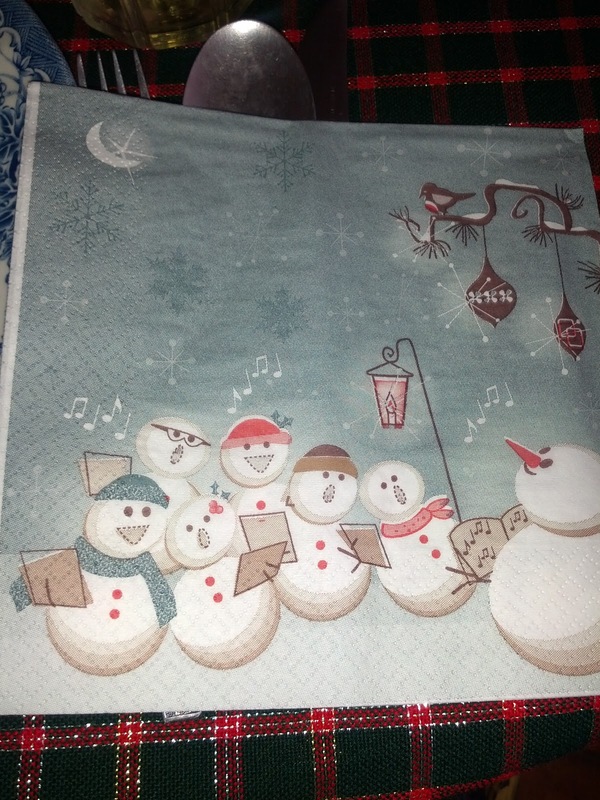 In a lower income family, smaller and less ply; a higher income one, more restaurant standard ones; in a Christmas-obsessed household, napkins like the one in the picture.. They use napkins whenever they eat, so you can imagine the amount of waste that’s produced just by using napkins, let alone other wastes. They distribute napkins at the dining table, like what they do in the restaurant, mandatory to every single person at the dining table. So let’s do the maths. If we have 1 person using napkins for breakfast, lunch and dinner, that’s 3 napkins a day, 1,095 a year. As of 2008, there are 7.16M people in Bogota alone. So that’s 8 BRILLION of napkins consumed each year!!! Let’s say each napkin is 2mm thick. If you stack 8 billion of napkins on top of each other, that makes a 16,000 km-tall building! The earth’s circumference is 40,075km. So these napkins can almost cover half of the world?! In fact the country seems to be extremely unconscious. You see people who gladly have perhaps 20 plastic bags in their trolleys for their weekend supermarket shopping, and plastic bags are generously used in the house to conserve food for future consumption. This is a tricky argument to try to defend Hongkonese restaurant owners that dont give napkins to patrons because it will squeeze their margin!!! it's better for the environment that's for sure!